Hey there, blog friends!! How are you doing today? I am in Montana right now, just enjoying being around my family. My grandpa's 90th birthday party was a huge success....lots of friends came to celebrate him, and almost our entire family was able to attend. I consider myself so blessed to be 34 years old with grandparents who have been able to be an active part of my entire life. They are both still sharp as a tack, and completely mobile. I pray that I got those same genes!!!! :) I watched them play cribbage against each other last night, and then I played a competitive hand of gin rummy against my grandma and barely squeaked out a win. Lol- she will probably beat me royally in our next hand. 2. Cut three strips of gold glitter paper, and adhere to the front. 3. 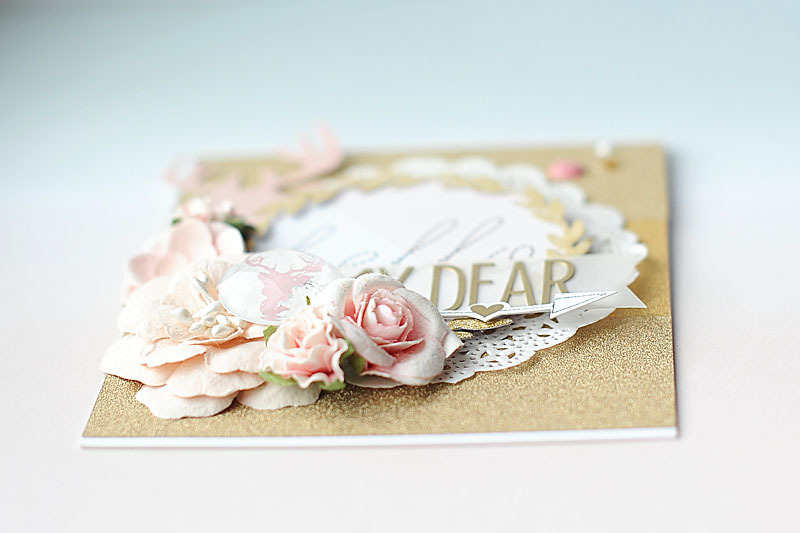 Layer a doily to the middle of the card. 4. Diecut the hello circle from a 3x4 card, then adhere to the front with foam adhesive. 5. 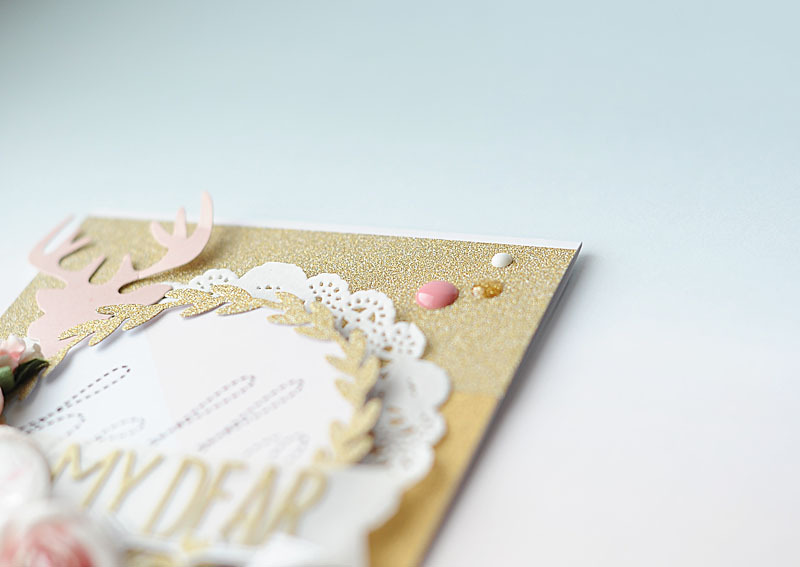 Diecut the wreath from gold glitter paper, then adhere around the hello circle. 6. Cut a banner edge to a vellum strip, add the gold stickers to it & adhere to the bottom of the circle. 7. Cluster the flowers & giant rhinestone to the left of the vellum banner. 8. 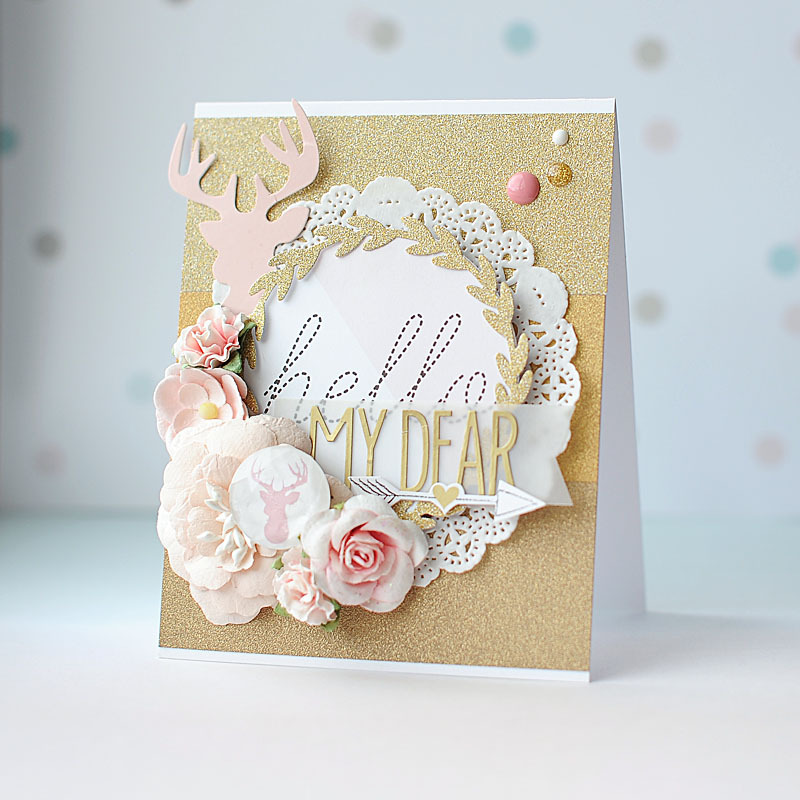 Add the deer diecut to the top of the flower cluster. 9. Accent with enamel dots to finish. 1. Comment on our blog posts everyday. One comment wins a Glitz prize! 2. Play along in our monthly project challenge….DETAILS HERE! 3. Comment HERE for your chance to win the full Carpe Diem digital collection! Well, that is everything I have to share with you for now!! I'm going to get back to spending time with my family...I hope that you have a wonderful rest of your day!! Oh my, that is some glittery goregousness! What a pretty card with a delightful tongue in cheek sentiment! I really loved this one when I saw it over at Glitz, so beautiful! oh my! This is absolutely STUNNING!!! 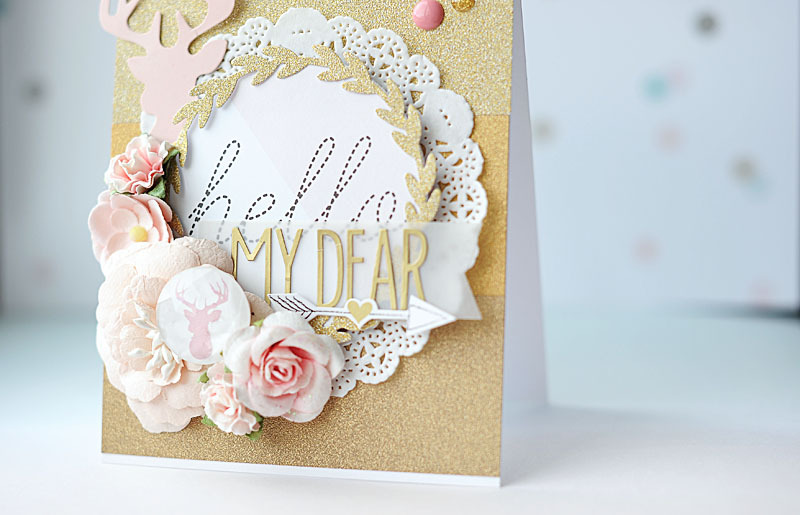 Oh my, this is now on my top 10 most Beautiful cards - I LOOOVE this!